Your BMW E46 and Lexus IS Resource: Mango Definitive E46 Pulley Guide DIY - So you wanna replace your pulleys huh? Mango Definitive E46 Pulley Guide DIY - So you wanna replace your pulleys huh? E46 PULLEYS. Yeah. That Mango Guide. This blog post will help you decide what pulleys you have and what to buy based on the setup of your particular car. Your M5X and S54 engines have three belt-driven tensioner pulleys. 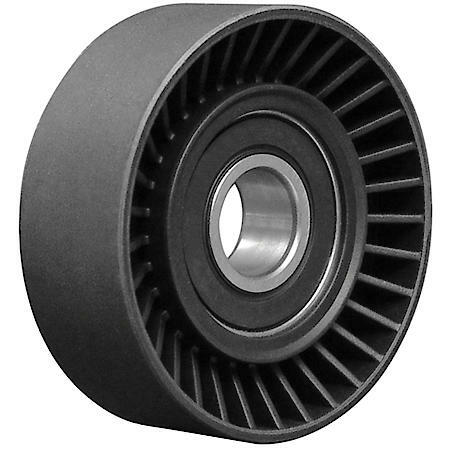 The role of the tensioner is either to provide belt-spacing/traction and to quell crankshaft vibrations due to irregular accelerations from the crankshaft. This is done to prolong the life of belt-driven accessories and likely to quiet engine operation. When should you replace your pulleys? If your pulleys are original: replace them. If you don't know how old they are: replace them. If they are noisy or have excess play: replace them. If they have 60,000 or more miles: replace them. There is only ONE part number that all E46s share (E36 S50 and S52 as well). There are some rare instances where some people have reported their car doesn't have this pulley. Always check before you buy!! 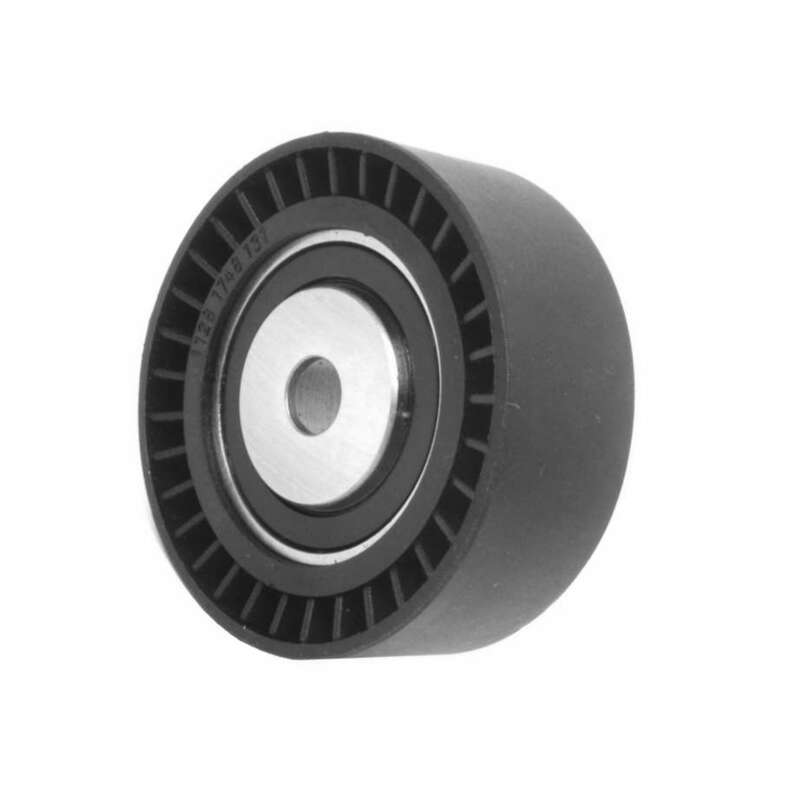 Main tensioner pulley. Your non-M E46 could have either a hydraulic tensioner or mechanical tensioner. Look at your engine bay with a flash light and/or feel around the tensioner. You need the following: Dayco 89133 purchased at either Amazon or your local Autozone. 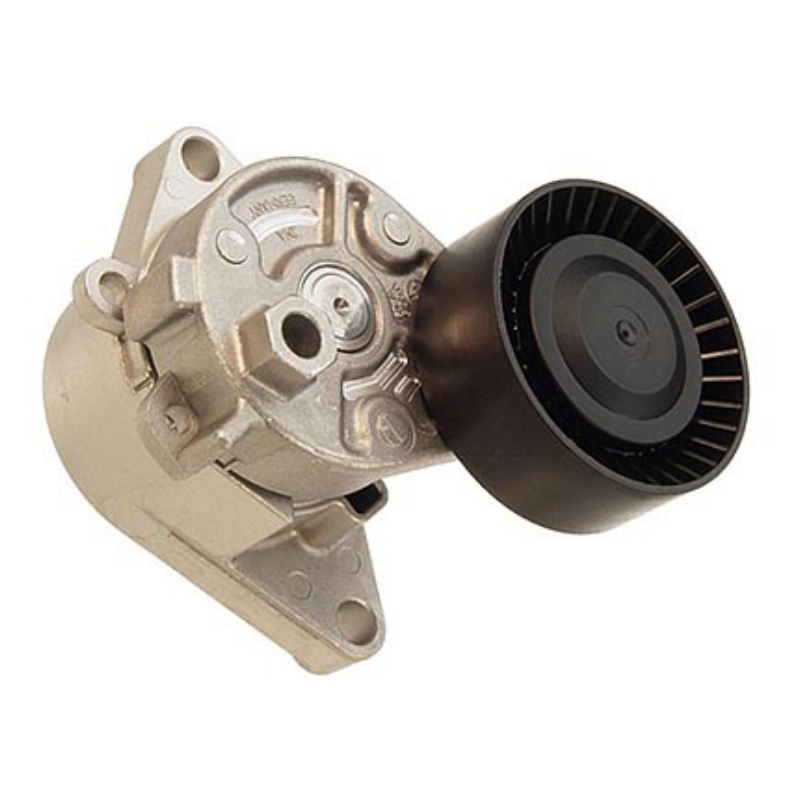 It may be under a different part number or name, but if you ask for an a/c tensioner for your E46, it will be the correct part. If your A/C pulley uses a MECHANICAL tensioner as well, you'll again use the Dayco 89133 pulley. Remember: if the tensioner is round and has a 15mm or 5/8" hex-shaped nut sticking out of it, it's mechanical and you NEED the Dayco pulley. Both types of tensioners use different pulleys and the BMW factory installs BOTH mechanical and hydraulic tensioners for the A/C through out the E46 model years 99-06. If mechanical, you can use a 16mm or 5/8" socket turned clockwise to ease tension on the tensioner for purposes of removing the belt. Use an extension on your ratchet for extra leverage. Safely remove belt. Then insert appropriate torx or allen-head socket into actual tensioner bolt and turn counter-clockwise to remove bolt that holds the tensioner in. 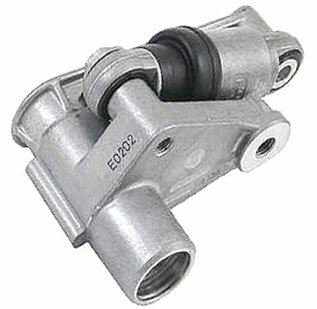 If hydraulic, you use the bolt that goes through the tensioner to both relieve tension and remove the pulley. 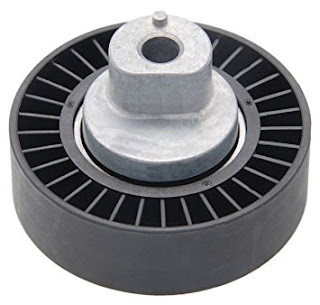 Another setup I've seen is: One alternator deflector pulley aka idler pulley, and TWO mechanical pulleys (aka Dayco 89133 pulley) I've seen this on a 2004 330ci. Your particular setup may vary! Links and brands subject to change! Verify before buying! If you purchase using my provided links, I get a small percentage of whatever you buy. Thanks for helping me help you by writing these help guides. Save the Amazon links to your browser in case you ever want to buy in the future. Appreciate your support.